Abbie is a highly regarded charity lawyer with a particular expertise in social enterprise. One of the originators of the Community Interest Company, she was seconded to the UK government to work on the legislation and drafted the model constitutions, she continues to have an active role in its development. She was a member of the CLA working party on the Companies Acts and, by ministerial appointment, a member of the Office of the Third Sector Advisory Board. She was chair of trustees of PayPal Giving Fund UK (which operates eBay for Charity) and a trustee of the Fawcett Society which campaigns for the rights of women. 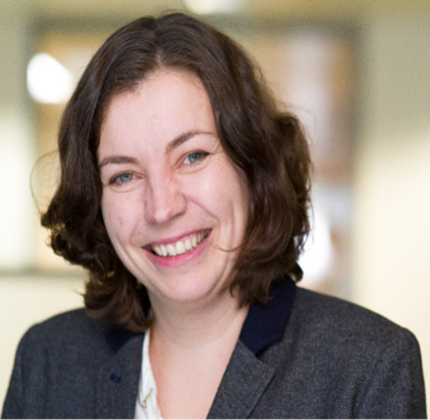 Abbie has particular expertise in the delivery of public services, providing strategic and legal advice to public bodies on when, whether and how to use alternative delivery models to ensure needs are met, improve outcomes and reduce subsidy. She is recommended by Legal 500 and Chambers both for her work in the charity and social enterprise sector. What I love most in the people I meet and the projects I hear about – there are so many creative and able people doing genuinely innovative things to help others – which is of course inspiring. My three children – definitely the biggest project and still not complete!